Ivo Peterson relaxing at his home in Ephraim. 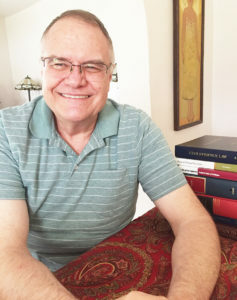 He has worked in at least seven occupations and held many roles in the community, most notably 23 years with Mormon Miracle Pageant. That philosophy of carrying on no matter what, and not stopping to wallow in self-pity, undoubtedly explains how Peterson, now 65, has managed to succeed in at least seven occupations, ranging from actor, to vocational rehabilitation counselor, to college professor to justice court judge. All the while, he has been deeply involved in community service. 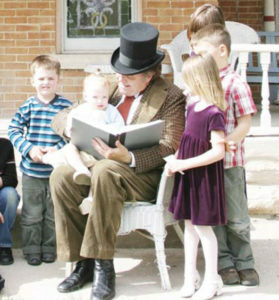 Perhaps his most notable community role has been with the Mormon Miracle Pageant, which opens tonight in Manti. In 2000, he played the key role in adding the Christ-in-America scene to the production. And until about a year ago, he kept up his exceptional pace despite suffering from ankylosing spondolitis, a rare form of arthritis that causes stiffness and severe pain, and eventually impedes movement. Typically, it starts in the spine, but it can spread, it has in Peterson, to the hips, hands and feet. 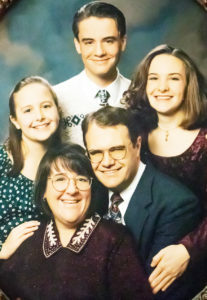 After graduating from Richfield High School, where he was the lead in the school play and a top debater, Peterson went to the University of Utah to major in theater. He kept the theater scholarship all four years and also worked in the costume shop at Pioneer Memorial Theater at the U. of U. to cover expenses. “I actually finished my bachelor’s degree without any debt,” he says. He reaped another benefit from working in the costume shop. That’s where he met his wife, Barbara, who was working on her master’s in theater with an emphasis on costume design. He got his bachelor’s of fine arts (BFA) in theater with an emphasis in acting, and Barbara got her MFA, on the same day in 1978. After teaching high school for a couple of years, a job opened up at Promised Valley Playhouse in downtown Salt Lake City. He worked there as an actor, designed the lighting and sound, and helped build scenery. While at Promised Valley, he started back at the U. of U., ultimately earning a master’s in theater education. Ivo Peterson, dressed as Hans Christian Andersen, reads stories to children prior to a Scandinavian Heritage Festival in 2009. He was a storyteller at the festival for 12 years. at Cardinal Stritch College (now Cardinal Stritch University), a Catholic college in Milwaukee. Barbara found a job in Milwaukee as a designer for a company that sold knitwear nationwide under various labels. Peterson says he could have spent the rest of his career at Cardinal Stritch. But fate intervened. In 1991, a brother who was living in Las Vegas at the time, died unexpectedly. His brother’s wife, MaryAnn Peterson, was an attorney. But she felt she could take better care of her children if she switched to teaching. She got a job as an English teacher and yearbook adviser at Manti High School. And Peterson felt he needed to return to Central Utah to help her out, although it turned out his sister-in-law didn’t need a lot of help. Peterson was not a person to quit a job before he found another one. So from Wisconsin, he applied for an opening as a vocational rehabilitation counselor in the Manti office of the Utah State Office of Rehabilitation Services. He got the job. Barbara got a job helping run a sewing shop at the Central Utah Correctional Facility (CUCF) that makes uniforms, sheets, pillows, pillowcases and mattresses for Utah jails and prisons. She worked there for 23 years. 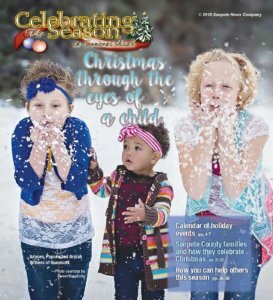 In 1996, Peterson went from the Office of Rehabilitation Services to Snow College, where he headed up a program called School to Careers that placed students in various job settings. Then in 1999, a lawsuit was filed alleging Snow was not complying with the Americans with Disabilities Act (ADA). Gerald Day, then the college president, offered Peterson a job setting up an ADA program. His role included arranging accommodations for students with learning disabilities and other disabilities. He continued heading up disability services for the college until 2001. 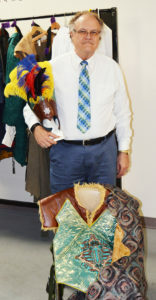 Ivo Peterson prior to the 50th Mormon Miracle Pageant with some of the costumes he designed during decades of service to the production. The 50th year was his last year with the Pageant. About the time he got involved with ADA programs, a faculty position opened up in the Theater Department, and Peterson became a professor again. At first, he taught part-time while still working on disability programs. But he soon went full-time with the Theater Department. Besides teaching, he directed and even acted in a number of Snow College plays. In 2006, he was able to switch from the Theater Department to the Communication Department, where he primarily taught general education courses in public speaking and interpersonal communication. He continued on the faculty through the 2016-17 school year, when symptoms of ankylosing spondylitis and the need for surgeries forced him to retire. At the time he retired, he had been at Snow College 21 years in four different positions. Beginning in 2000, and at the same time he was teaching at the college, he set out on another career track when he was appointed as the judge in the Manti City Justice Court. One by one, he was appointed as judge in other municipal courts in Sanpete County until he was presiding over all eight of them. They included courts in Manti, Mt. 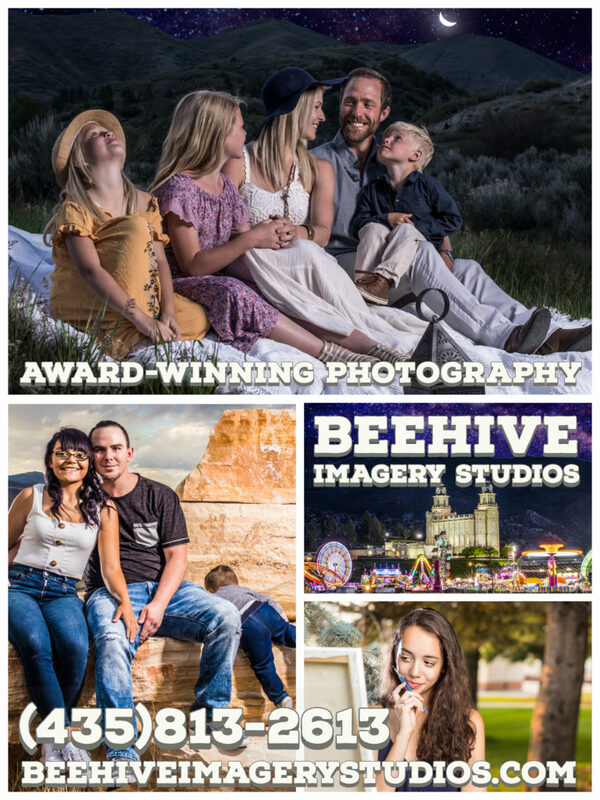 Pleasant, Moroni, Spring City, Fairview, Fountain Green, Gunnison and Ephraim. While a judge, he got involved in helping students in the public schools understand the justice system. In particular, he staged mock trials in which high school students acted out the case of someone charged with driving under the influence of alcohol or drugs. The trials culminated with Peterson sentencing the mock defendant. As if he wasn’t busy enough, from 1993 until 2016, the year of the 50th performance, Peterson was a performer, administrator, director and costume designer for the Mormon Miracle Pageant. He started out performing in crowd scenes. Then he played George Washington for several successive years. In 1995, he was called to be in the Pageant presidency, and in 1998, became director of the production and continued as director until 2004. In 2006, 2007 and 2008, after stepping down as pageant director, he played the Savior in the scene. But from the mid 2000s on, ankylosing spondylitis increasingly intruded into his life. At 53, he had a hip replaced. The surgery was not successful and had to be redone. Peterson had to use a wheelchair, walker or cane for a year. In 2015, he had an operation to fuse some of his vertebrae. But in the months after the operation, the terrible pain in his back didn’t get any better. It wasn’t until this year that a doctor discovered that one of the screws used in the fusion was touching a nerve. Since the screw has been removed, Peterson says he has felt immeasurably better. Although anklylosing spondylitis primarily affects bones and joints, as the disorder progressed, it started to wear down Peterson’s whole body. Ivo and Barbara Peterson (front) with their children (from left) Maren, Adrian and Nikki. Photo taken in 1995. In June, 2017, he and his wife were staying in a hotel in Salt Lake City. When it was time to get up, Barbara could not rouse her husband. When he got to an emergency room, the doctors said he had double pneumonia, his kidneys were failing and his heart was in fibrillation. He spent five days in intensive care in Salt Lake City and another 15 days in Sanpete Valley Hospital. Doctors told him he would need multiple surgeries and would have to slow down—permanently. Although one of his professions had been working with disabled people, it never dawned on him that he, himself, might be disabled. He simply dealt with each flare-up of his disease as it occurred. But now he was forced to apply for social security disability. Since 2017, he has had surgery to fuse one of his wrists. He is scheduled to have surgery soon on the other wrist. His disease has affected his feet, but he’s able to walk with braces. Eventually, he expects he will need surgery on his feet. Some of those supporters include his three children. His daughter, Nikki Elizabeth lives in Ephraim and works with student body officers at Snow College. Another daughter, Mauren Wendel, lives in Logan and teaches English online to Chinese students. A son, Adrian, lives in Ephraim, has an MD degree and is chairman of the Biology Department at Snow. Each of his children has four children, which makes for 12 grandchildren. Peterson no longer has a full-time job (or multiple full-time jobs), but he’s still contributing. He and his wife help put on Family Home Evening programs at CUCF. He teaches a class in interpersonal communication at the prison two times per week. He’s an officiator at the Manti LDS Temple one morning per week. And he does on-line genealogical indexing for the LDS Church.